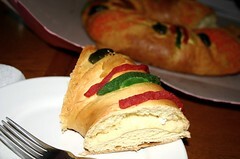 Lelo in Nopo: Did you get your Rosca de Reyes on? What? You tell me you didn't? Oh come on. January 6th was Kings day, and the holiday celebrated in Mexico with the traditional circle of bread called Rosca de Reyes. Inside the rosca is hidden a baby. AdRi tells me that if you're really poor, the baby is actually a lima bean. 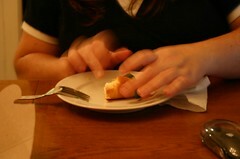 Back to the story....a plastic baby is hidden inside of the bread. If you are the person who gets the baby, then you have to throw another party on February 2nd. Let's just clear it up now. I never get the baby. Last year we were in Austin and picked up the Rosca de Reyes and brought it to JaAmLo's for his birthday. I didn't get the baby. I didn't get the baby the year before either. But guess who got the baby this year? That right peeps! 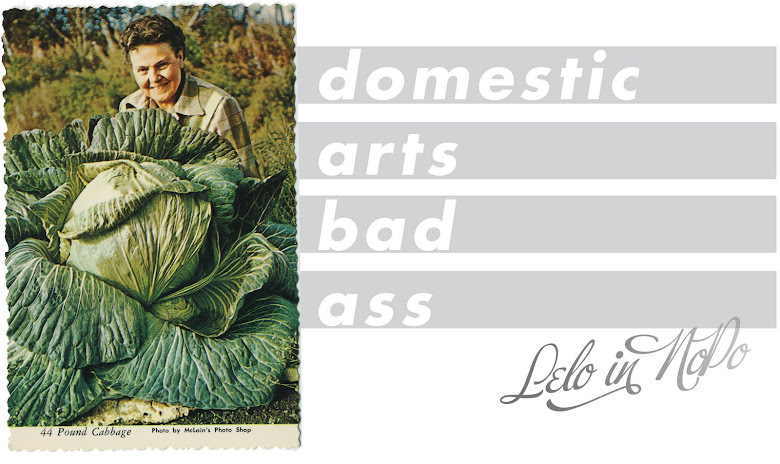 Lelo! We always save the babies, and they live on the window sill above the kitchen sink. But what the hell? This year's baby, courtesy of Su Casa in Hillsboro, was a frickin' freak. What kind of baby is this? It's pale white! And it looks more like one of those statues peeing than a baby in a rosca de reyes! Hey, this isn't right. Whatever. You got the albino baby. And it's way too early to type. But a girl can try, can't she? i first found your blog via 'lil sister...and now i enjoy seeing you around blogzie's place as well. so, just thought i'd say hey. 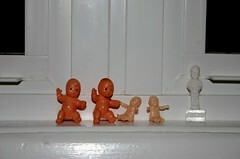 and i love your plastic babies collection! i have a few from mardi gras, and they are gold, green and purple. anyway, i like your sense of humor, and wanted to say hello, "formally." Just be careful of alien abductions. Yes. This reminds me of King Cake from New Orleans! I was introduced to this site by Dancing Puppy Queen and have been a regular reader for several months. Just wanted to say thanks for sharing your creativity. So is there some cool hitch to the party you have to throw, like everyone who shows up has to bring you $20? Still practicing. This comment is being typed on the PowerBook. Don't you feel honored that I am using your blog as a test site? BTW: It looks fabulous. The Rosca sounds very slightly like the Ephiphany Cake we used to have each Jan. 6th. Only instead of a plastic baby or a lima been, it was a plastic ring. I don't recall what the significance of that ring might have been. Homophone issues: Lima bean, not lima been. Sheesh!!! PS I wonder how long before they kick me out of the store?